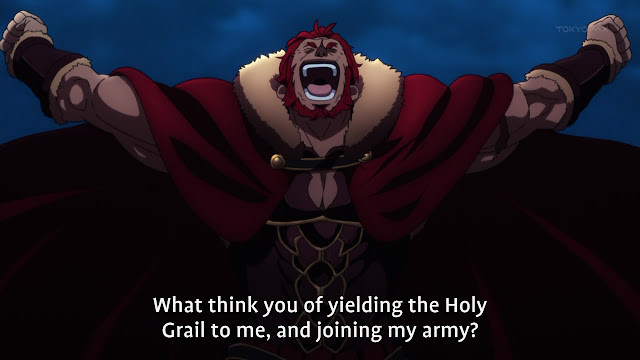 Fate/Zero 05 - Enter Beserker! Finally, the debut of Beserker that I have been waiting for. I was already spoiled on the identity when I wanted to know what crazy heroes we would in this arc. All I can say is, why are all the heroes sooooo much stronger then the last war? 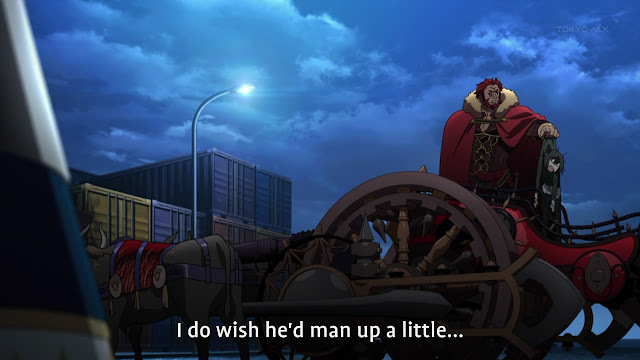 Gilgamesh was pretty much unstoppable, but compared to the heroes this time, he looked so weak. It was another epic episode with some great battles. This is proving to be one awesome anime to follow. 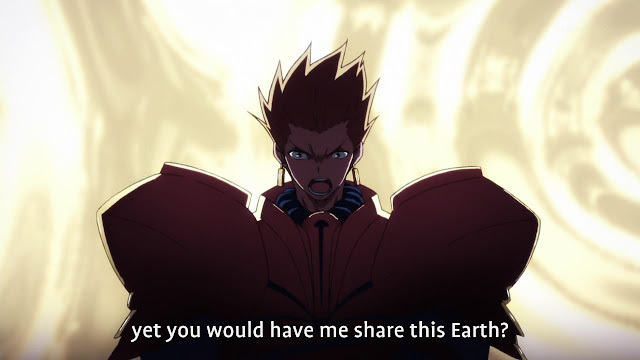 So we get much more face time this episode with Gilgamesh and the debut of Beserker. He seemed noticeably weaker, or maybe Beserker was just too strong for him. Either way, he looked pretty bad. I was just surprised how bad crappy he looked this episode, he was absolutely godly in Fate/Stay Night, why was he so much weaker? Did he spend the gap time between the 2 wars to gear and train up? Beserker sure stole the episode. Displaying his absolute agility on top of his over powering strength. I am definitely wondering how this servant will lose, I mean, he seems way to powerful. The only way I see him losing is a few of them teaming up against him or the master dies and he runs out of prana or something. He is fukin awesome regardless, I am already spoiled on his identity but I wonder how that will go down. Definitely an interesting introduction. 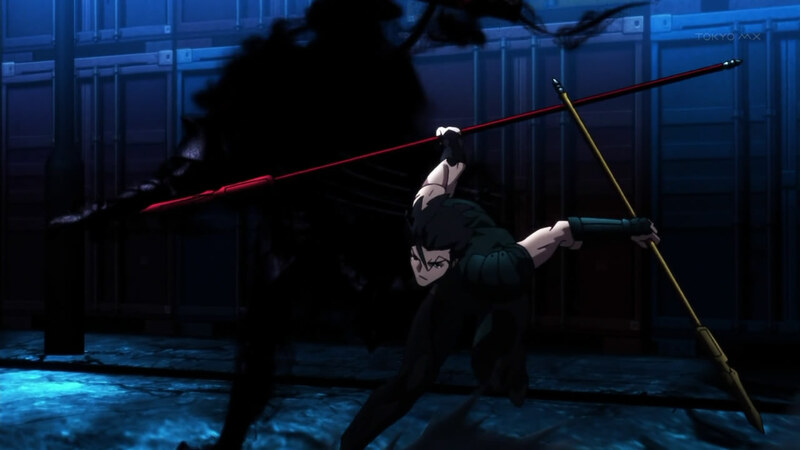 Lancer reaffirmed why he is awesome this episode, nothing like honour in duels. I wonder what kind of backlash will come of forcing him against his honour, I mean that was extremely out of character and you don't just forget that. I am pretty sure, lancer will be the first one to be knocked out at this rate. How else will Saber get her strength back? The master will probably get taken out early too. He is clearly marked out as a villain so already. 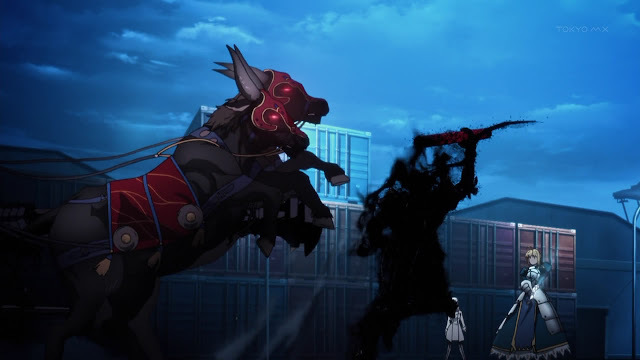 We also get to see Rider's mount at work, and god was that powerful. It looked weak but then the mighty Beserker got trashed by it, it surely is powerful. It is always good to see heroes honour the duels between each other. 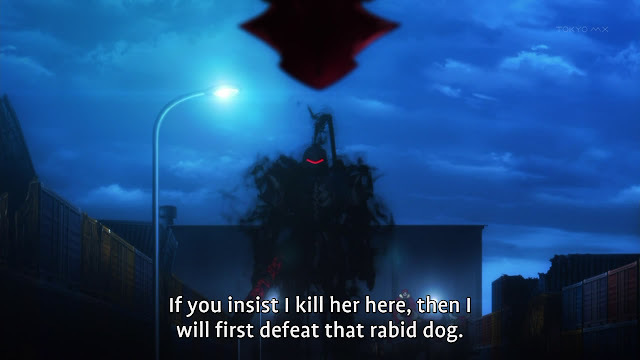 This is why I liked Rider, he is acting like a judge to make matches fair. His kingly attitude is always refreshing too. So I am guessing next episode will be a calm in the battle as all the master assess the situation. Hopefully it won't be too slow an episode. 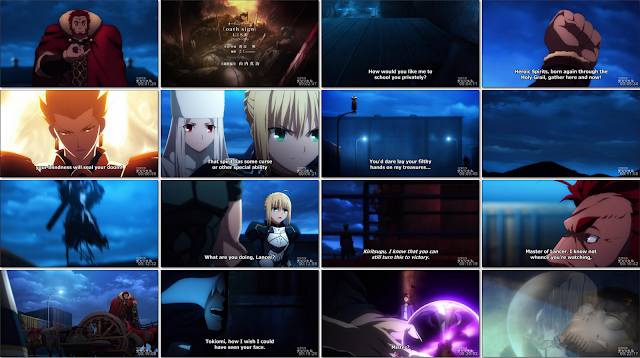 I always wondered why no one questioned the "fake" master for Saber. You see her hand quite a few times in the show, no one noticed their was no seals? Tsk tsk.